Whether worn by a Roman ruler or medieval peasant, a tunic was a common garment of the day. The Gadaric Linen Tunic works for a variety of costumes and eras. Available in three colors and a range of sizes, many people can wear this versatile linen blend shirt to the market, battlefield, or anywhere in between. Designed for mobility, the sleeves are loose cut and the hem is slit on the front and back. The scoop neck helps in sliding the tunic on and off. 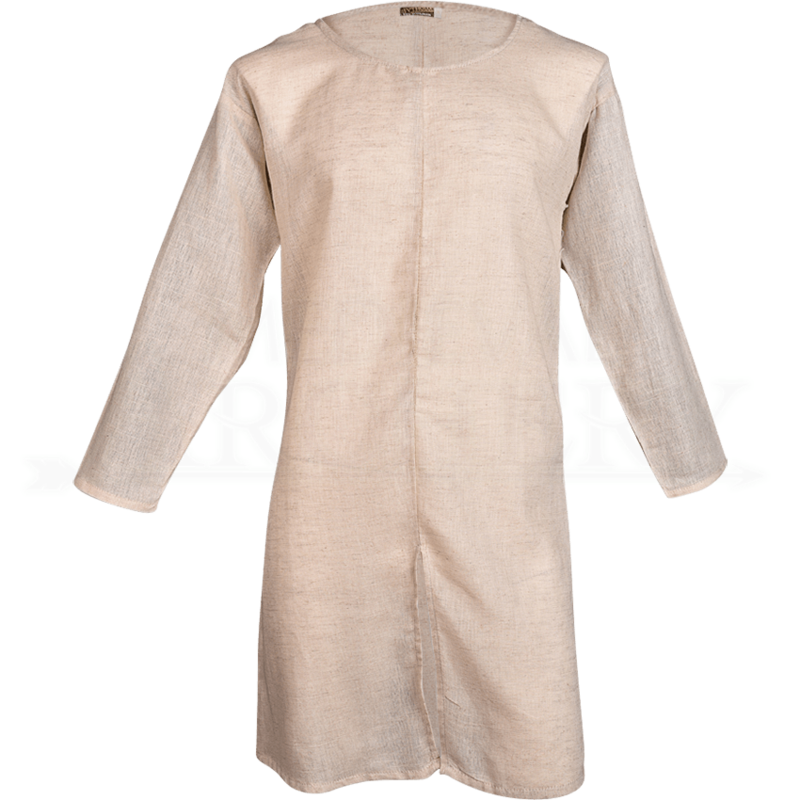 Ideal for layering, this historical shirt works with any fantasy or LARP costume.